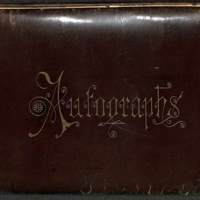 An autograph book containing the signature and writing of Bertha Hendricks and Minvera (Minnie) Weinberger the first two women to graduate Ursinus. 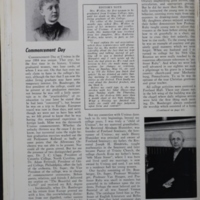 Included is the cover, Bertha's page, and Minerva's page. 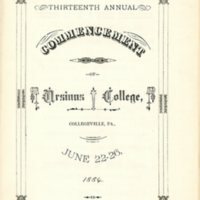 A personal narrative from Bertha Hendricks, one of the first women to graduate from Ursinus, of stories and memories from her time at Ursinus.